Need a Gift? Think Socks! Need a Gift? Think Socks! Find out why Socks are the perfect gift for anyone on your list. We have reached the age of sock paradise! What was once considered a cheap, lowly gift has now become the item of choice for both gift givers and gift receivers. Why? Because socks can – and often do – say it all. Because everyone wears them. Because toasty feet are happy feet. Because socks come in never-ending styles ranging from practical necessities to fashion statements. Because they always bring a smile to the recipient’s face. Because socks are just plain fun! Go on, admit it. You love your socks. Few things satisfy your soul more than wiggling your toes into your favorite pair of socks. They just feel so darn good! If your washer or dryer eats one, you practically go into mourning. And you wish that you’d bought 16 pairs of them in addition to the four pairs your BBF gave you on your birthday so that no blasted machine could ever deprive you of your other BFF; i.e., your best foot friends. If you feel that strongly about your socks, why wouldn’t the people for whom you need to buy gifts? That’s a completely rhetorical question because the answer is: they do! They love their socks just as much as you love yours. Consequently, no matter what the occasion, socks make the perfect gift. Women’s novelty socks come in all lengths, colors and patterns. So whether your favorite lady is your wife, your significant other, your mom, your sister, your daughter, your college roommate, your phone, text and email buddy, or whoever, you can’t go wrong when you give her socks. And with the seemingly infinite variety of socks available today, you can match your gift socks to her personality, her favorite color(s), her gotta-do activities, or anything else that strikes your – and her – fancy. I mean really. How much would she love settling in for an evening of DVD watching on the couch with a big bowl of popcorn, wearing a way cool pair of socks with striped bags of popcorn on them that look like they came straight from the theater? Or if she’s a chef extraordinaire in her own kitchen, how much fun would she have whipping up her latest gourmet creation while wearing a pair of socks depicting many of the pans, utensils and other things she uses – including a big white chef’s hat! Fun socks for men likewise come in an amazing number of lengths and styles. So if you need a gift for that favorite guy, be he your husband, partner, dad, brother, son, jogging buddy, or whoever, socks make the perfect one. What guy wouldn’t love to wear a pair of socks emblazoned with tacos and margarita glasses when he goes out for his Cinco de Mayo celebration? Or why not let your favorite guy proclaim his steak obsession loud and clear with a pair of socks featuring prime cuts of beef — grilled extra rare, of course? In addition to being a thoughtful gift, socks solve many of your gift-buying challenges. For instance, will your recipient like what you give him or her? 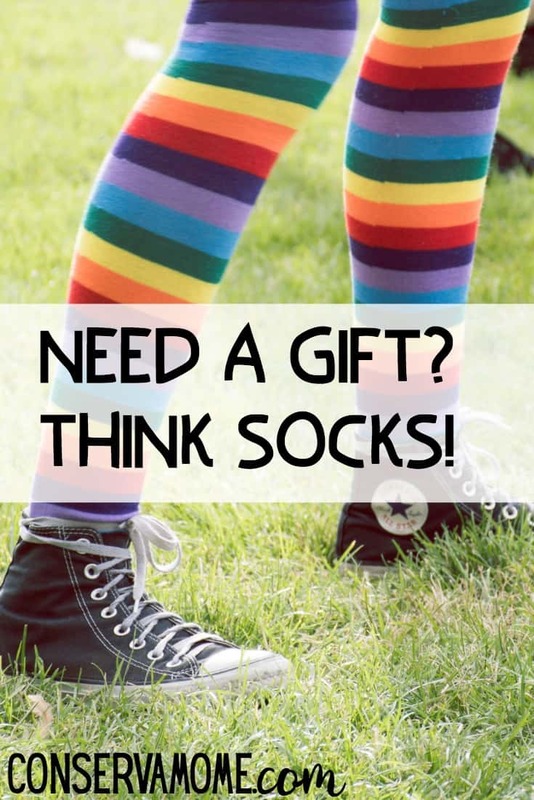 The answer invariably is YES when you give the gift of socks. Except for hard-core bare feet aficionados, everyone wears socks nearly all the time for everything they do, from working to hiking to running to attending formal social functions to hanging out with family and friends. Not only will a gift pair of socks not break your bank or put you over your credit card limit, but they can also be your choice of practical, indulgent, fashionable, fun, etc. What’s not to love? Three cheers for the golden age of socks we’re living in!